Many thanks to Matthew and Philippe for the safe delivery of Samara to Mylor Yacht Harbour from the east coast this summer. 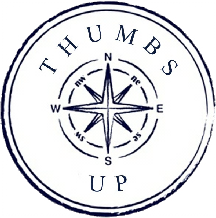 The service received from ThumbsUp Yacht Delivery was extremely good from initial contact through to job completion. Matthew is a very affable chap and clearly very competent at his job. Negotiations were straightforward, fair and stress free and Matthew was prepared to tailor the service to meet my needs. ThumbsUp kept me well informed at all times as to status and progress and adopted a relaxed and friendly attitude. Well done ThumbsUp! Diane and I commissioned Thumbs Up to help us with an Owner Assisted passage, to bring, Alchemy, our Moody 42, from Lefkas, Greece, back to the Solent. The skipper, Doug, was just what we had hoped for. He instilled great confidence with his quiet efficient management of the passage. He and Lisa, the other crew member provided for the trip by Thumbs Up,were great to have aboard. It was obvious that Doug\’s wealth of sailing experience meant that we and Alchemy were in good hands, which resulted in a passage that caused much less anxiety for us, than we had expected. Want us to deliver your yacht? I couldn’t be more pleased with Matt and the Thumbs Up team. Although I hadn’t planned on this delivery when the boat was lifted for the winter and I hadn’t been onboard to prepare Thumbs Up took everything in their stride and treated her like their own. I was kept fully in touch with progress with the tracker and with email updates from their shore support team. Great job – THANK YOU! My thanks and appreciation to Matthew and Lyle for their successful delivery especially for their patience and flexibility whilst we waited for that Autopilot to be fitted prior to departure. Still can’t believe we managed to get to Cagliari with days to spare. I was very impressed by their professionalism and personalities and can thoroughly recommend Thumbs Up to anyone looking for a delivery company. Thanks guys.